Ascomp has generously offered Dave’s Computer Tips five licenses to some of our lucky readers. 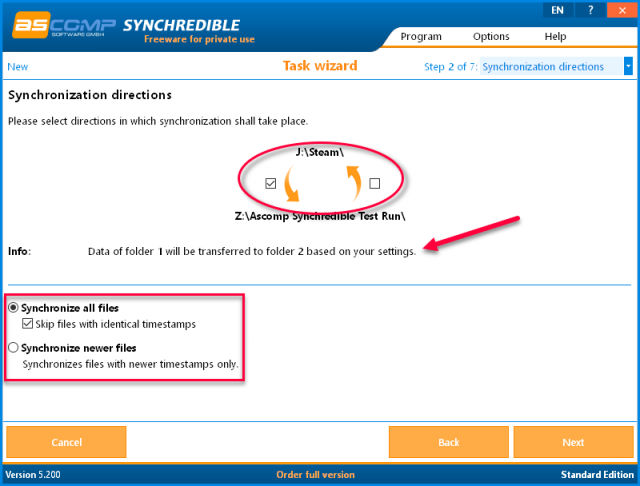 Ascomp Synchredible will help you synchronize files and folders across your many drives. These licenses are for the Professional Edition and are currently valued at $25.00 each. The Pro version may be used in commercial settings and also affords free technical support. 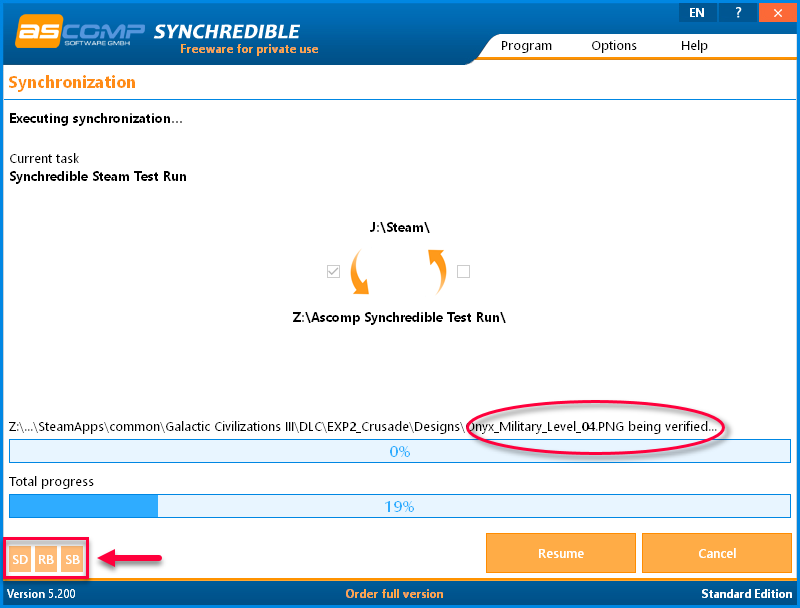 The list of features is a long one and well beyond the scope of this article, so please go to this Full Feature List page to see everything Ascomp Synchredible has to offer. 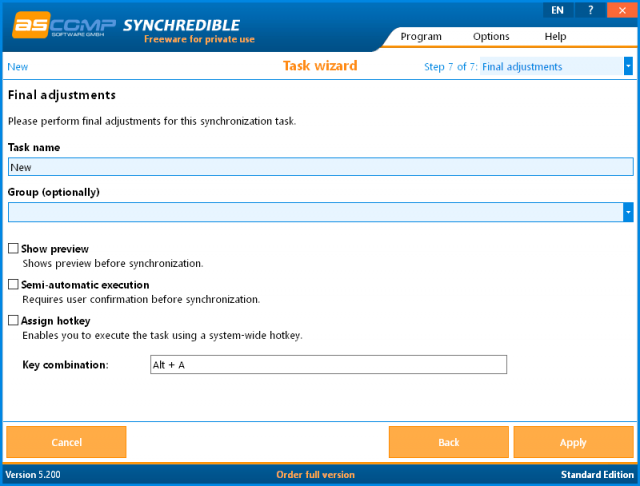 Installing Ascomp Synchredible Pro is an easy, fast, and straightforward process. Simply download the product, run the installer, accept the license agreement, and let ‘er rip. There are no gotchas or strange, possibly unwanted additional software to worry about. Perfect! Choose the Origin (Folder 1) and Destination (Folder 2) folders. You are also given three Priority methods from which to choose. This program is very flexible and well thought out. It should be noted here that if you have Network Drives set up, Synchredible will handle those, too. 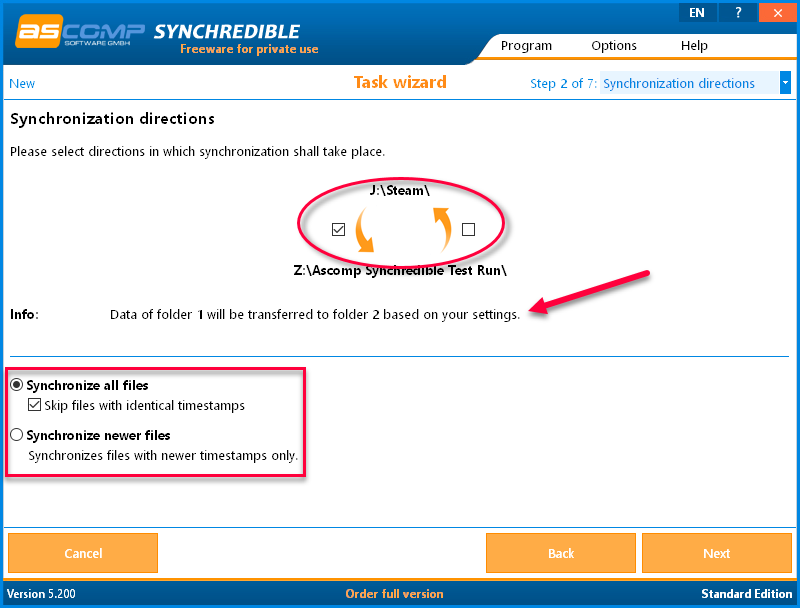 Step 4: This allows you to choose files/folders you don’t want included in the synchronization process. I didn’t include an image here because it is dead-simple to understand. Click the Apply button and you’re done with the New Task set up. This is how it looks at the 19% completed mark. 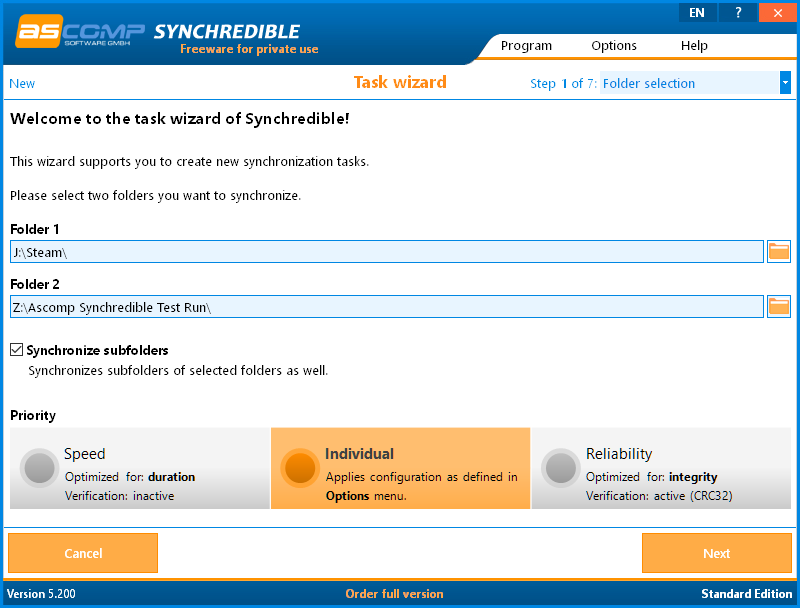 Synchredible verifies each file it copies on the fly. The whole process is very fast. As a test, I hit the Cancel button, then started the run again. It worked as expected and began right where it had left off. These can also be set as default actions during the New Task set up process. I am very happy with the way Ascomp has set this program up. The interface is easy to understand, the program is fast and responsive, and the many features it includes makes it extremely flexible. I can wholeheartedly give this program my highest recommendation. We’d appreciate it if you’d take a moment and submit a comment telling us why you’d like to win Ascomp Synchredible Pro. However, submitting a comment is not required to enter this contest and will have no bearing on your chances. This is really well thought out software. I can’t think of a feature this doesn’t have. Can this sync to cloud services? If so, which ones? What about to a NAS? 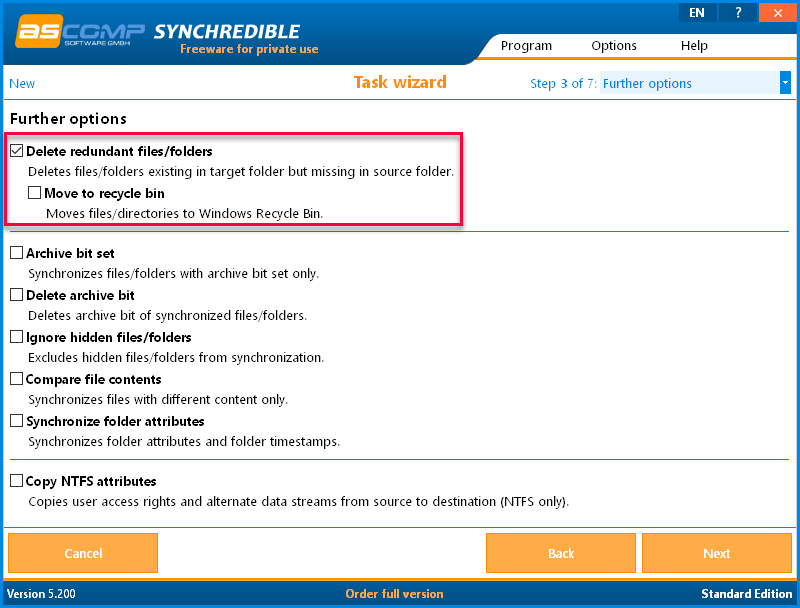 If Windows can see a folder, then Synchredible can see it, too. That would include network drives, OneDrive folders, DropBox, etc. Using OneDrive as an example, if you synch files/folders to it, then OneDrive would send the changes to the MS server (cloud). I honestly don’t know if Ascomp provides their own Cloud Service. Thanks. I looked at their web site and didn’t see any mention of cloud services. Glad they have it. Do you know which ones they support? Thank You For The Opportunity to get a Professional version !! I am not recieving any email verifications from your website and would really like to enter for a chance to win this software. We do not send eMail verifications when one enters a contest. And, comments are moderated, so it may appear as if your comment was not accepted by the system until it is approved. I am usually the one who approves comments, but contrary to popular belief, I don’t live in front of the computer. Sometimes it may take a while (up to a few hours) for me to realize a comment is pending. I just checked, and your entry has been accepted and is in the list of contestants. I haven’t received anything regarding signing up for your newsletter either. But if that is normal I understand. Thank You Again For The Chance of getting a Pro version of this awesome software. I really do appreciate it !! We don’t send out eMail verifications for the newsletter, either. You should receive the newsletter this weekend. We begin rolling it out on Friday evening and that process continues sometimes into Sunday. If you don’t see it by then, please check your Spam folder in case it was flagged, and then you can white-list it. “Does this product entitle you to free customer service? • What about update policy? Implying that product is yours for life at whatever version is valid 24 mos from registration. Then upgrades are $15. But on registration page, it states that registration ends in 6 mos. Since this doesn’t appear to be the full version they sell on their site, do you know if the shorter registration version they gave out for your contest will stop working after 6 mos? I had installed this program on my system for review purposes and it did show me I had a year left from time of installation. Nearly all the programs we offer during our giveaway contests offer lifetime licenses. This means you can install them at any time on any computer, forever. Usually, these lifetime licenses include minor updates, but not full version upgrades. Sometimes, the companies we deal with are generous enough to offer some free, limited tech support to go along with it. Each developer is different, though, and I have zero control over their individual policies. Many times, there are slightly different rules that apply to giveaway licenses. I rarely accept offers for less than one-year licenses; I see them as merely glorified trial periods. This time, due to the quality of the program, I accepted a one-year license. Check the “About” menu option in the software and see what that says. Make a note of the version number, the registration information, and anything else that looks relevant to this situation. If your license truly expires after six months, I definitely want to know about it. That is not what I expected when making this deal. Update: I have eMailed my contact about this and am awaiting a reply. They are in Germany, so it might take a few days. Thanks again for your help. I have an update on the licensing questions.